Every year, I look forward to asparagus season more than words can express. I’ve already praised this odd-looking yet succulent vegetable in this post for roasted asparagus with burrata, Tahitian lime oil and sorrel chiffonade, so it seems redundant to do it again here. But this year something really special happened: I’ve actually planted my own asparagus bed! I ordered asparagus crowns (roots), which look like octopuses with skinny legs, and dubiously planted them in a raised bed, following the instructions to the letter. I wasn’t sure that they would come up, but not two weeks later, my baby asparagus are popping out of the ground with gusto. And even though I won’t be able to harvest from my asparagus patch for two years, when I see those frisky stems emerging from their bed the wait seems well worth it. In the meantime, I’ll get my fresh spears from one of our local farmers’ markets and make today’s exotic and massively flavorful salad as many times as I can before the season has passed. I highly recommend a Robola from Cephalonia (Greece) with this salad. The Robola from the Gentilini winery is particularly delectable. (To read more about this wine, click here.) But any medium-bodied white wine with juicy acidity and mellow citrus notes would work, like an unoaked Arneis from Piedmont, a Silvaner from Franken (Germany) and, of course, a Riesling from Germany or Alsace. Preheat the oven to 500ºF (260ºC). Step 1: Move rack to the top of the oven. Spread the asparagus on a jellyroll pan. Brush with the olive oil and sprinkle with salt. Bake for 8 to 10 minutes (depending on their size) until the tips begin to brown. The stalks should still be bright green. Remove from pan and let cool to room temperature. Step 2: In a small bowl, whisk ginger, zest, vinegar, lime juice, cayenne, salt, olive oil, and sesame oil until well blended. Set aside. Step 3: Fill a large bowl with cold water and several ice cubes. Bring 1 quart of water to a boil. When the water is boiling, add the salt and snow peas. Boil for 2 minutes. The snow peas will turn bright green. Drain and transfer to the cold water bath. When the snow peas are chilled through, drain and spread on paper towels. Set aside. Step 4: Peel the orange to its flesh and cut in half lengthwise. Remove the seeds, pith and threads in the center, and slice each half crosswise in 1/8″ thick slices. Place the arugula leaves in the center of each plate. Tuck a few snow peas and orange slices between the leaves. Top with the roasted asparagus. Drizzle with the vinaigrette, sprinkle with the toasted sesame seeds and Serve. Cook’s note: To toast the sesame seeds – Heat a small frying pan to medium-high heat. Add the sesame seeds and sauté for 2 to 3 minutes until light-golden, stirring or shaking the pan constantly. Transfer to a small bowl and set aside until ready to use. 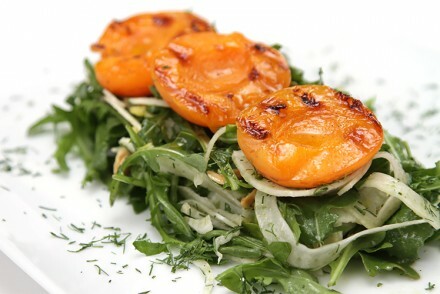 Shaved fennel salad with grilled apricots and Marcona almonds Elegant, healthy, and massively flavorful. 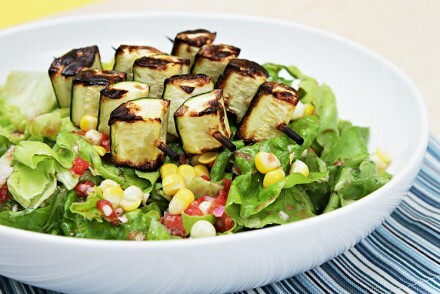 A great summer salad! Hello Viviane – I’mm looking for a roasted asparagus and citrus salad recipe to inspire me for some dear new friends coming over tonight and what do I find?! We will see how I manage it this evening. How lovely and small our world! Small world indeed, Cynthia! Thank you for your note… and the salad was most delicious! this salad is beautiful! Love the oranges! Viviane – what a beautiful salad! 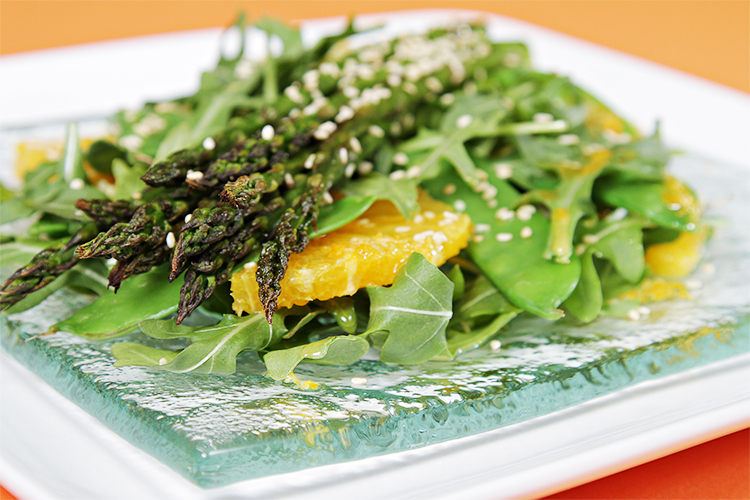 I love the combination of asparagus and orange and I just happened to have both in the fridge! I have to admit that I’ve never roasted asparagus, but it looks easy enough, so I’m definitely going to try it. Thanks for the inspiration! Gorgeous pictures! Thank you so much MJ, I know you’ll love the salad… and the roasted asparagus too! They are so delicious that I eat them on their own. Happy cooking! And you did it again 🙂 Top 9 on Food Buzz! I am also planting some vegetables this year. It is so thrilling to see your own vegetables grow. Was it difficult growing Asparagus? Thank you so much Ansh – you’re so kind! The asparagus grew to be 6 feet tall last year… and they’re just starting to pop out of the ground as I write these words. I was thrilled to see that they survived the winter. I have another year to go before I can harvest them, but I’m now thinking that I’ll plant another bed of purple tip asparagus. Planting one’s own veggies is indeed most rewarding. Have a great time with your veggie garden Ansh! Ah, what an amazing springtime salad! Congrats on the Top 9 today…hooray! Viviane this looks fabulous and I love that citrus dressing. I am definitely going to make that. Have a lovely day. I have been wanting to try planting my own Asparagus but was too leery. You just inspired me to try, Viviane. Thanks! This salad looks amazing. The combo of flavors is not something I would have thought of but reading it I can see how well it would work together. Oh I love that you’re growing asparagus! I wish I could do that but I mostly don’t do well with plants ha. I also love a simple roasted asparagus. Yours look delicious! 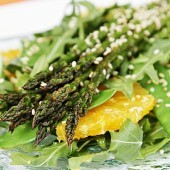 Absolutely beautiful – I love roasted asparagus and have never combined it with citrus fruit. Thank you for sharing! I love roasted asparagus and eat it constantly at this time of year. Oh I just love asparagus on salads. This looks so wonderful. I can’t wait to make this! 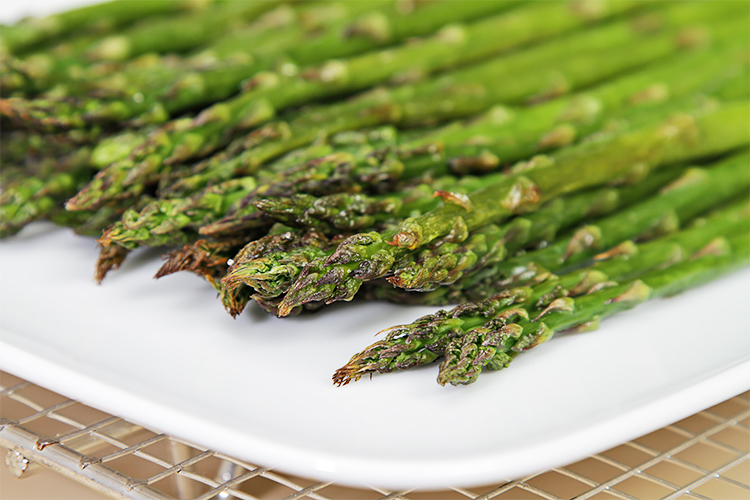 This looks delicious–so ready for asparagus to arrive in the market. Maggie! Mine are just coming out of the ground. I’m unbelievably excited… Thank you for stopping by! Hi there! 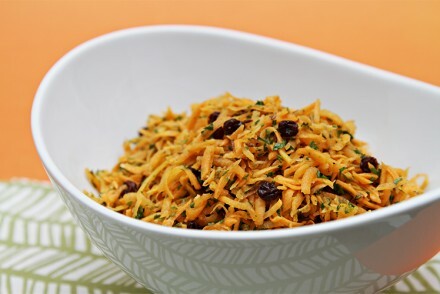 Just wanted to let you know that my dad and I made this salad for my mom’s birthday and we LOVED it – super delicious, thanks for such a great recipe! This vinaigrette sounds delicious – the orange and ginger are a great pairing and I love the dash of cayenne! Beautiful. I’m still eating asparagus out of the garden, and not yet tiring of it. I’ll be sad when the season ends, literally with the next week or so. They’re so many ways to use the green veggie. It’s not redundant, it’s sensational. I love local asparagus and very much look forward to trying your recipe. Beautiful! And the sesame seeds are a nice (and healthy!) touch! Hi Viviane – your salad is gorgeous! I have to make it, I have Valencia oranges on my citrus salad tree! Love your presentation. The orange seems to pair well with the asparagus.